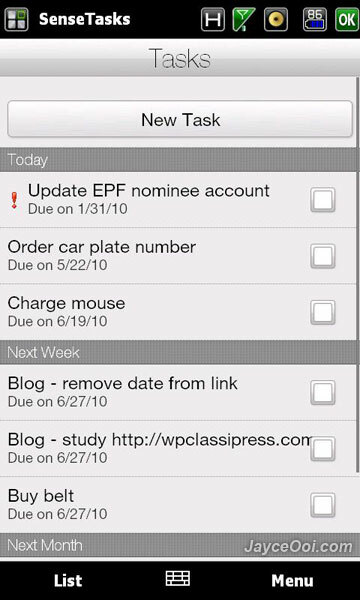 pTasks was my Windows Mobile 6.5 Outlook Tasks replacement besides Tasks Manila (I failed to get it work on my HTC HD2). Too bad that you cannot get it free now and have to buy it at Windows Marketplace. However, here comes another great finger friendly Windows Mobile 6.5 Outlook Tasks replacement called ~ SenseTasks. Hey, it is FREE!!! SenseTasks can support landscape mode too. Just enable it with BsB Tweaks and you are ready to go.